Maurice Ralph Hilleman (August 30, 1919 – April 11, 2005) was an American microbiologist. He specialized in vaccinology. He developed over 36 vaccines, more than any other scientist. Of the 14 vaccines currently recommended, he developed eight: those for measles, mumps, hepatitis A, hepatitis B, chickenpox, meningitis, pneumonia and Haemophilus influenza bacteria. He also played a role in the discovery of the cold-producing adenoviruses, the hepatitis viruses, and the cancer-causing virus SV40. Hilleman was a forceful man who was at the same time modest in his claims. None of his vaccines or discoveries are named after him. He ran his laboratory like a military unit, and he was the one in command He terminated every subordinate who did not measure up to his standards. For a time, he kept a row of "shrunken heads" (actually fakes made by one of his children) in his office as trophies that represented each of his fired employees. He used profanity and tirades freely to drive his arguments home, and once, famously, refused to attend a mandatory "charm school" course intended to make Merck middle managers more civil. His men were fiercely loyal to him. 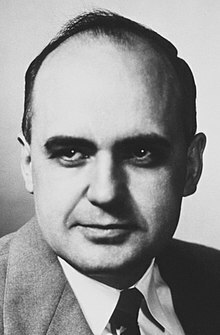 Hilleman was an elected member of the US National Academy of Science, the Institute of Medicine, the American Academy of Arts and Sciences, and the American Philosophical Society. In 1988 President Ronald Reagan presented him with the National Medal of Science, the nation's highest scientific honor. He received the Prince Mahidol Award from the King of Thailand for the advancement of public health, as well as a special lifetime achievement award from the World Health Organization, the Mary Woodard Lasker Award for Public Service and the Sabin Gold Medal and Lifetime Achievement Awards. Robert Gallo, co-discoverer of the virus that causes AIDS, once said "If I had to name a person who has done more for the benefit of human health, with less recognition than anyone else, it would be Maurice Hilleman. Maurice should be recognized as the most successful vaccinologist in history". ↑ 1.0 1.1 Offit PA (2007). Vaccinated: one man's quest to defeat the world's deadliest diseases. Washington, DC: Smithsonian. ISBN 0-06-122796-X. ↑ 2.0 2.1 2.2 Maugh, Thomas H. II (2005-04-13). "Maurice R. Hilleman, 85; Scientist developed many vaccines that saved millions of lives". Los Angeles Times. Retrieved 2010-10-20. ↑ Merck & Co. (2008-10-15). "Merck & Co. Inc. dedicates Durham vaccine manufacturing facility in honor of Merck scientist Maurice R. Hilleman Ph.D.". Press release. http://www.istockanalyst.com/article/viewiStockNews/articleid/2710278.